Another intern has joined Freedom Project! Brian Chang is currently attending the University of Washington’s Master of Social Work program, focusing on community practice and restorative justice. In addition to working with the admin side of things, Brian will be co-facilitating workshops in Nonviolent Communication and mindfulness for prisoners and returnees alike. Brian grew up in Los Angeles, California, and went to college at the University of California in Irvine, where he studied psychology. During this time, Brian developed an interest in stress management and holistic wellness. Inspired by mindfulness practice, Brian co-founded a student meditation club that was awarded the Inaugural Dalai Lama Scholarship. Brian worked as a research assistant in a number of labs, studying the neurobiology of stress, meditation, and acupuncture. In 2009 Brian enlisted in the U.S. Army and served a tour of duty in Iraq. His experiences led him to question social justice issues around oppression and violence. This path led him to Nonviolent Communication practice and a life devoted to peacebuilding. 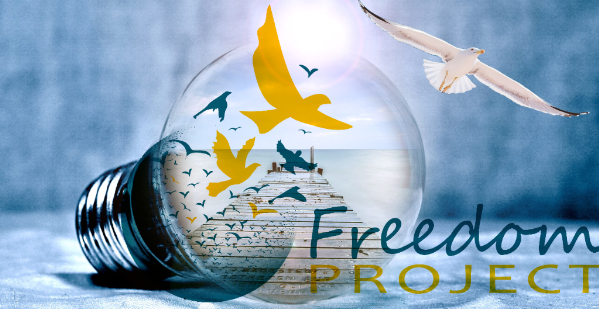 Brian is excited to be volunteering with Freedom Project through June of 2015. In his spare time Brian enjoys cooking, ultimate Frisbee, tai chi, board games, and videos of puppies on YouTube.